Asakusa Naniwaya/浅草浪花家 specializes in taiyaki, a sweet red bean paste-filled waffle-like cake baked into the shape of a fish. 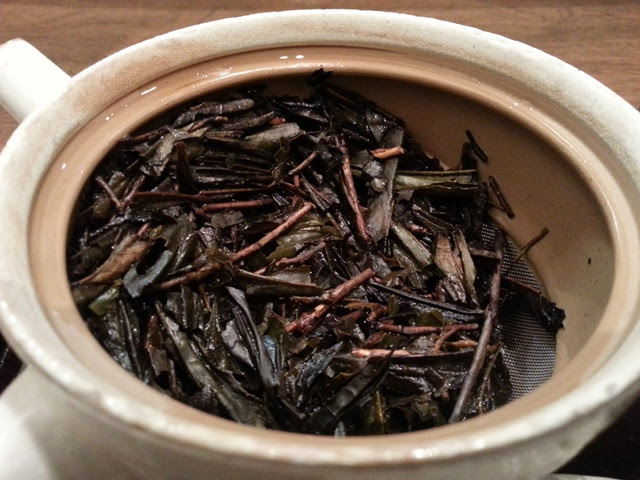 The shop is located next to the Hotel Keihan Asakusa and directly west of the famous Sensoji Temple. Asakusa Naniwaya is quite popular and a queue of customers is not unusual due to limited seating. The line moves quickly and the food and friendly service is well worth the brief wait. 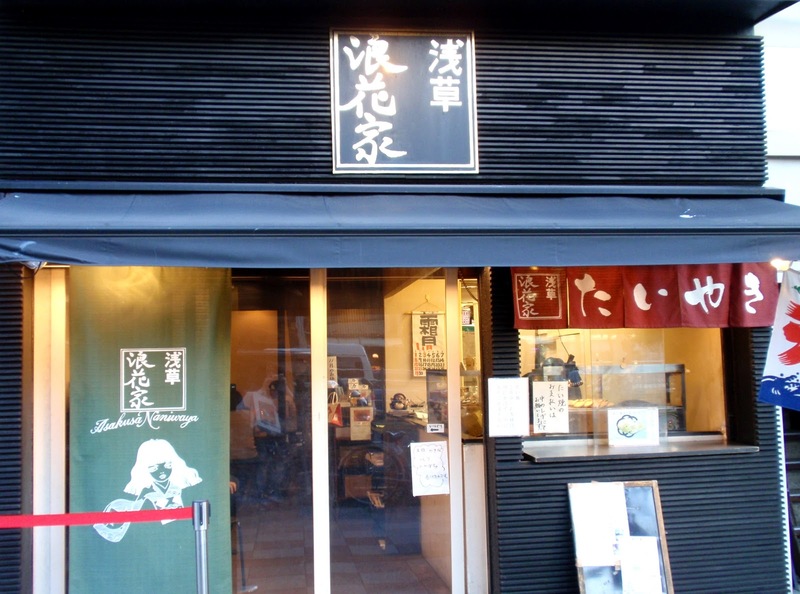 In addition to taiyaki and tea, they offer a number of meals and desserts, including off-menu seasonal options. During my visit, an enormous shaved ice parfait was the favorite among the regulars. 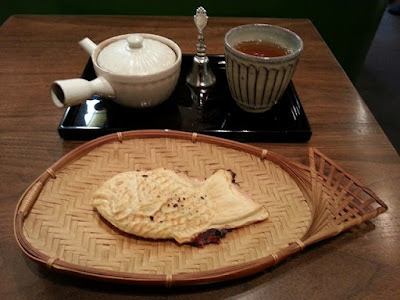 For this visit, I ordered the Taiyaki Set with Hojicha. Since the cup was large enough to hold the entire contents of the teapot, I was provided with a bell so I could ring for more hot water. The bold roasted green tea flavor provided the perfect balance with the sweet taiyaki and I finished off three cups before giving up my table to the next customer.